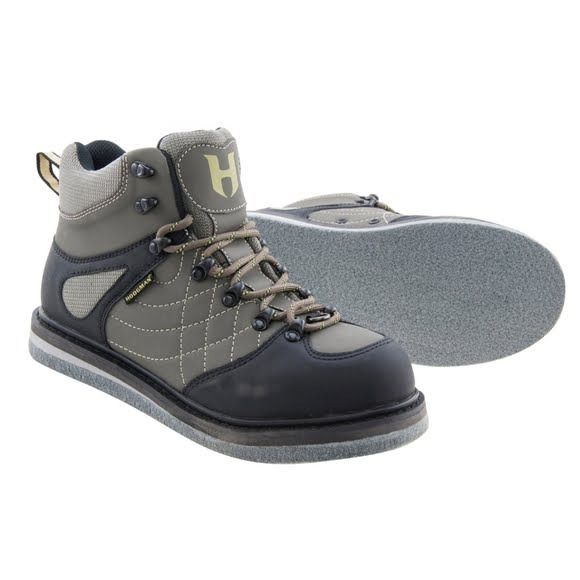 Whether you are crawling up rocky river terrain or navigating slick wading conditions, the Hodgman H3 wade shoe is designed to get the job done. The lightweight design utilizes a shock absorbing EVA mid-sole so you can wade all day and put on the miles without getting worn down. I am an avid fly fisherman by choice. LOL. But I’m getting into my late 50’s and I was getting nervous with my hip waders with the plain rubber sole getting into the good spots in the rivers! With my New wading boots with the felt bottoms, well I wanna tell ya buddy, I feel like I could run across the rivers now! Thank you Bob Wards for giving me back my favorite pastime! A very very Happy Customer.